People use different types of environmental sources in their daily life to fulfil their survival needs. Various types of developmental works like industries, construction of roads, construction of buildings, irrigation project, etc are conducted in the country to get valuable services and facilities that we need. We should not destroy the environment while conducting the developmental activities. Forest plays the vital role for the environment conservation. The Ministry of Forest and Soil Conservation has launched various programmes for the conservation of forest and environment. Community Forest Programme is one of the examples of conservation programmes that help to protect the land, water and other components of the environment. Laws about forest protection and awareness generation help in the conservation programme. Soil conservation is an important work of environmental conservation. Control of landslides, flood, soil erosion helps to protect the land. Reforestation, tree plantation, protection of pasture land help to conserve the soil. Terrace farming in a slope land, use of compost manure and minimising the use of chemicals also help to protect the soil. Ministry of Forest and Soil Conservation, Ministry of Agriculture, etc. are conducting various programmes to protect the soil. House, market area, industry, settlement area, etc. are the sources of solid wastes. Proper management of solid waste helps to keep the surrounding healthy. Local level authorities like municipalities, VDC, etc. have been conducting various programmes for the management of solid wastes. Construction of toilets in every house and management of enough public toilet also helps to keep the environment healthy. Industries and vehicles emit the smoke, dust and harmful gases that pollute the environment. 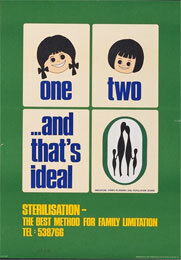 Chemical fertiliser and chemical poisons like insecticides, herbicides, pesticides, etc. also pollute the environment. Pollution must be controlled to keep the environment healthy. The government of Nepal is making an effort to control the pollution. A clean and green environment is a symbol of civilisation. Individual efforts are not enough for this noble cause. Therefore, there should be co-ordination and co-operation among individuals, families, communities, local agencies, clubs, national and international agencies to succeed in it. Forest plays the vital role for the environment conservation. Chemical fertilizer and chemical poisons like insecticides, herbicides, pesticides, etc. also pollute the environment. Ministry of Forest and Soil Conservation, Ministry of Agriculture, etc. are conducting various programmes to protect the soil. Write short note on forest conservation. Write short note on soil conservation. Soil conservation is very important for environmental conservation. Control of landslides, flood, soil erosion helps to protect the land. 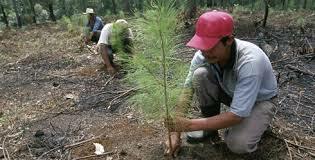 Reforestation, tree plantation, protection of pasture land help to conserve the soil. 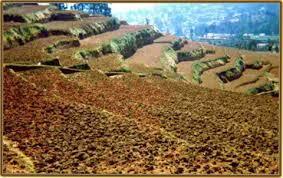 Terrace farming in a slope land, use of compost fertilize and minimizing the use of chemicals also helps to protect the soil. Ministry of Forest and Soil Conservation, Ministry of Agriculture, etc. are conducting various programmes to protect the soil. Write short note on solid waste management. House, market area, industry, settlement area, etc. are the sources of solid wastes. Proper management of solid wastes helps to keep the surrounding healthy. Local level authorities like municipalities, VDC, etc. have been conducting various programmes for management of solid wastes. Construction of toilets in every house and management of enough public toilet also helps to keep the environment healthy. The condition of the environment is ______. The ways to conserve forest is ______. The ways to control pollution is ______. The ways to control soil pollution is ______. The wastes which arises from human and animal activities that are normally solid and are usually discarded as useless or unwanted are ______. how does waste material management help in environment conservation? Any Questions on 'Major Programmes of Environmental Conservation '?